Anyone who knows anything about watches will understand that a timepiece is a thing of true beauty both inside and out. Watches aren’t just timekeepers, they are mini masterpieces showcasing innovation and fine craftsmanship. An iconic watch is a prized possession. Any gentleman with a passion for style knows that a watch is an essential part of any dress code. A Savile Row suit looks infinitely better with an iconic watch brand peeking out on the wrist. Yes, watches can seem like an indulgence (especially since we have phones to keep a check on time), but an investment-piece watch is infinitely more impressive and stylish than the latest phone. Some watches are instantly recognisable and downright cool, thanks to an interesting and storied history or because a famous person has worn them. Others appeal purely because of their mechanical innovation. You only have to consider the credentials of a Master Watchmaker to realise the complexities of a watch. With thousands of microscopic parts, watches are truly magnificent miniature machines operating with incredible precision. 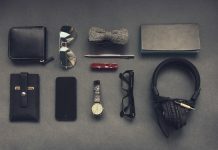 So, in the age of smartphones, why do men still wear watches? Great men throughout history have worn them and modern great men wear them too. Take a look at the world’s most iconic watches of all time and it’s not hard to see why. Here’s a whistle-stop tour of the best. Named after Florida’s Daytona International Speedway, the Rolex Daytona is an understated, elegant timepiece designed to meet the demands of the professional racing driver. It has become an iconic favourite amongst car enthusiasts and achieved iconic status thanks to Paul Newman. This classic Rolex watch is both simple and elegant. Described by many as Rolex in in its simplest form, the Rolex Oyster was first launched in 1926 as the world’s first water-proof and dust-proof watch. It was billed as ‘the wonder watch that defies the elements.’ The Oyster Perpetual was launched in 1931 and its timeless style is similar today. The square-faced Tag Heuer Monaco is a watch specimen that shook up the watch industry with its ground-breaking belt-driven transmission. This watch design made a historic break from traditional watchmaking. Launched in 1969 the Tag Heuer Monaco is famed for being worn by screen legend, Steve McQueen. If you are looking for a conversation-piece watch, then this is it. The modern versions are every bit as good as the vintage ones. The perfect watch for any motorsport speed freak, the Tag Heuer Carrera was named after the gruelling annual Panamericana race ran between 1950 and 1954. It was held at the time as being the most dangerous race in the world. After just two decades the Carrera model was shelved, but it was re-introduced in 1996 and has since become a centre-piece in the TAG Heuer range. This iconic Omega is a favourite amongst watch lovers. With a storied past (the watch was first designed for the British military in the second world war) the Seamaster teams innovative design with style and precision technology to create a watch worthy of sailors and divers. Associated with iconic movie character James Bond (worn by Pierce Brosnan and Daniel Craig in the Bond role), the Seamaster is designed to withstand the elements and for underwater use. Known as the ‘Moonwatch’ (even though the watch wasn’t developed specifically for this purpose), the Omega Speedmaster is perhaps one of the most important chronographs ever made. The Speedmaster Professional was introduced as a racing and sports chronograph, but is best known as the first watch worn by an astronaut walking on the moon. Perhaps the most iconic Rolex is the Submariner. Rolex director, René-Paul Jeanneret, was an amateur diver. At the time, he recognised the growing need for high quality water-proof watches. 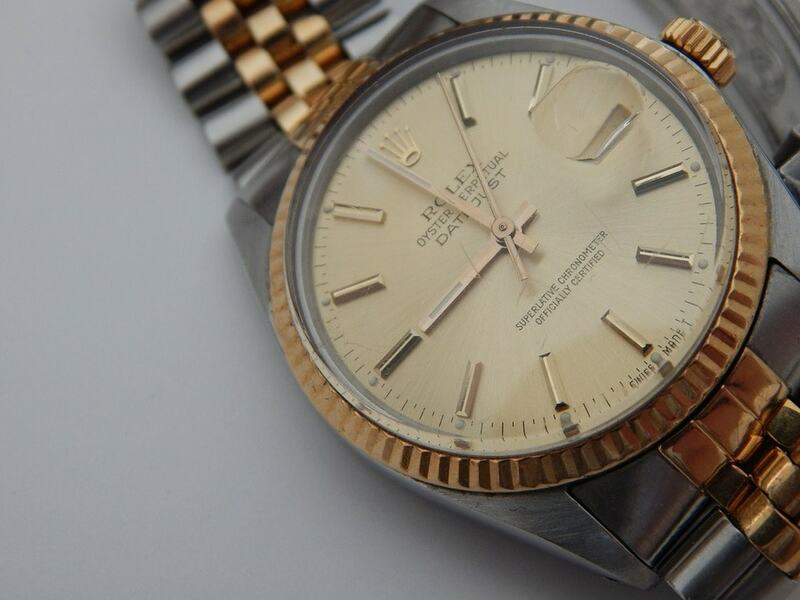 Rolex are hugely collectible timepieces. If you are serious about watches, the Submariner should be on your list of one of the first Rolex watches you buy. This ‘oh so handsome’ watch is the perfect accessory for any suave gentleman. Both vintage and current models of this classically designed watch are inspired by the minimalist principles of the Bauhaus movement.